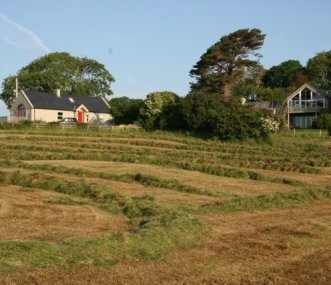 From beautiful big farmhouses in County Armagh to big coastal cottages in County Down and spacious country houses in County Antrim, our range of holiday homes in Northern Ireland offers a fabulous choice for large families and group holidays. From sightseeing in the world famous city of Belfast or Derry to days on the beach in Bangor, a trip to the coast and Giant's Causeway, or hiking in the Mourne Mountains, Northern Ireland is a justifiably popular holiday destination offering heaps of tourist attractions. Browse our wide selection of big Northern Irish holiday cottages and find the perfect place to stay for groups of 10+ in County Antrim, Armagh, Down, Fermanagh, Londonderry, or Tyrone. Check our last minute late deals and late availability orange button to the top right of this page for availability three months ahead and for Christmas and New Year holiday cottages and rentals. A National Trust 14-bed bunkhouse. Game of Thrones is filmed on location here. Perfect for groups looking to explore the diverse landscape and Strangford Lough. Luxury Georgian home built in 1847 and licensed for self-catering by the Northern Ireland Tourist Board with 8 bedrooms - sleeps 22 with sofa beds, with hot tub. Perfect for special events. Restored 18th century cottages - full of character and charm, with up-to-date amenities. Set in stunning countryside, near Strangford Lough. 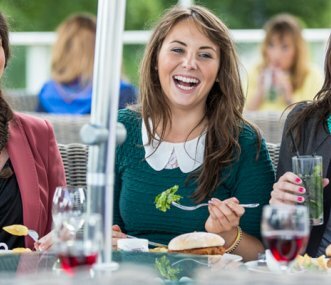 Perfect for groups of friends and family gatherings. 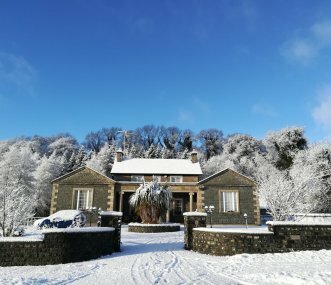 550 acre country estate ideally located on the border between Co Fermanagh and Co Tyrone, accommodating up to 24 people between the historic refurbished courtyard apartments and a 5* Gate Lodge. Offering bed and breakfast accommodation, with the capacity and flexibility to take couples, families and larger groups of up to 30. Fantastic base for touring, walking and cycling holidays. Stunning large beachfront Victorian house providing holiday accommodation perfect for a group weekend break, family reunion, friends get together, or birthday party. Minimum booking is 2 nights. 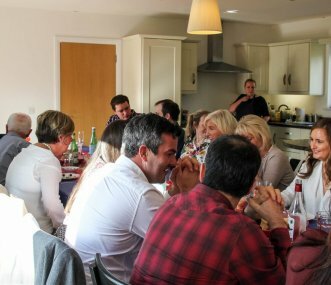 Excellent bunkhouse and cottage accommodation sleeping up to 32 for groups of friends or families near to Strangford village, Strangford Lough and Castle Ward National Trust property. 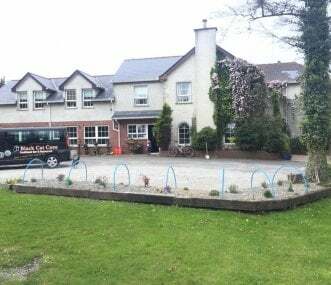 Luxury lakeside self catering lodges and B&B rooms, with an on-site bar and restaurant, in beautiful County Fermanagh. Spectacular venue for corporate events and wedding celebrations. Families too. 12 traditional cottages on Irish coast. Set on tranquil farm, amazing views over Mourne Mountains. Perfect for all kinds of groups. Large dining, social and meeting space. Between Dublin and Belfast. Dreaming of staying in a country cottage near Giant's Causeway, a holiday house in Derry, or group accommodation in Belfast city centre? At Group Accommodation, we work hard to fulfil these dreams, and as a specialist group holiday company we are dedicated to bringing you the best big group holiday homes in Northern Ireland. Located on the island of Ireland and part of the UK, Northern Ireland offers a vast array of tourist attractions from exciting cities and historic sights to stunning mountains and coastal landscapes. It's tough deciding where to go in Northern Ireland, with such a fantastic range of attractions, outdoor activities and group accommodation. 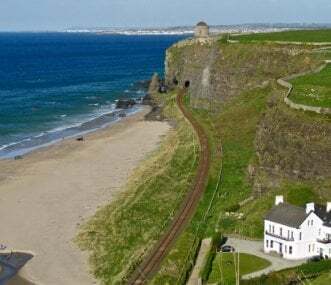 Stay in a large holiday cottage in County Antrim and you can enjoy sightseeing in Belfast and the stunning North Coast, including Giant's Causeway -- a famous UNESCO World Heritage Site that is home to some extraordinary coastal rock formations. If you rent a holiday house in County Armagh, you can explore Armagh City; visit the Navan Fort, Armagh Observatory, Keady Heritage Centre and Milford House Museum; learn about Irish military history at the Royal Irish Fusiliers Museum; or visit country houses such as The Argory and Palace Demesne. Rent a big holiday cottage in County Down and you can also enjoy visits to Belfast; the sandy beaches and scenic promenades of the historic seaside resort of Bangor, which enjoys the best climate in Ireland; and trekking in the Mourne Mountains, an area of outstanding natural beauty. If you decide to base yourself in a holiday home in County Fermanagh, you will discover a rural idyll famous for its lakes and landscapes, home to Belleek Pottery, the oldest pottery in Ireland; the lively town of Enniskillen; and plenty of attractions such as Necarne Castle, Florence Court, the Marble Arch Caves, and Loughnavar Forest Park. Hole up at a big holiday cottage in County Londonderry and you can visit the vibrant city of Derry, Northern Ireland's second city after Belfast, with its 17th Century city walls; excellent visitor attractions such as the award-winning Tower Museum; and beautiful historic buildings such as the Guildhall, St Columb's Cathedral, St Eugene's Cathedral and St Augustine's Chapel. And if you're looking for peace and quiet, you could hire a holiday house in County Tyrone and explore the wild Sperrin Mountains, enjoying great open spaces and trips to local villages. We try to make it easier for you to decide where to stay by providing detailed property descriptions and images for every holiday home in Northern Ireland, alongside a list of activities available nearby. 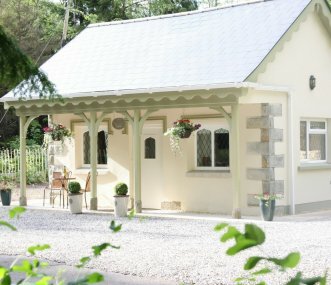 Our large group holiday cottages in Northern Ireland are scattered right across the region's counties, so you can find large holiday properties in County Antrim, Armagh, Down, Fermanagh, Londonderry, and Tyrone. By using our map functionality, whether you're planning a short weekend group break, a big reunion, or a full week's holiday, you can quickly narrow down your search to the specific part of Northern Ireland that appeals to you most. Our impressive portfolio features large holiday cottages in Northern Ireland, as well as a range of other types of accommodation such as luxury barn conversions, hostels, lodges, spacious country houses and camping barns. Make your search for group accommodation easier by using our easy-to-use website, bringing together the best big holiday homes in Northern Ireland for you to choose from. You can browse all of the properties in Northern Ireland in our Regional Search; pick out specific holiday homes by area on our Map of the region; or use our Main Search to narrow down your results by several criteria such as location, property type and how many the holiday cottage sleeps.